This runaway victory did now seem likely as the half time whistle approached. 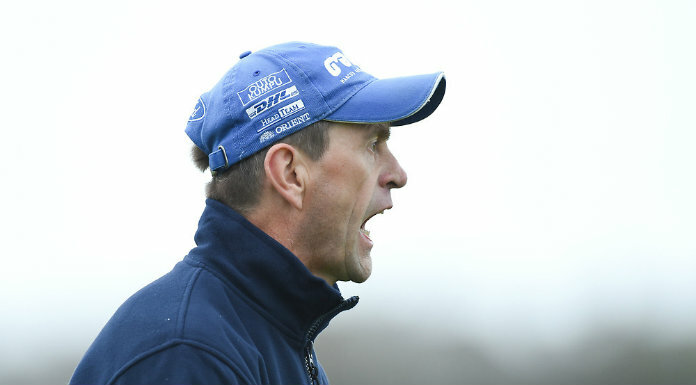 Clare had got off to a great start hitting 1-2 without reply after four minutes but Kerry had the next five points to draw level by the end of the first quarter. Five minutes from half time just two points separated the sides with Clare ahead, 1-6 to 0-7 and struggling to stamp their authority on the game. They finished the half strongly, hitting 1-4 without reply, to lead by nine at half time when the score was 2-10 to 0-7. The second half was one way traffic with Clare doubling their tally to 4-20 before Kerry managed their next score. 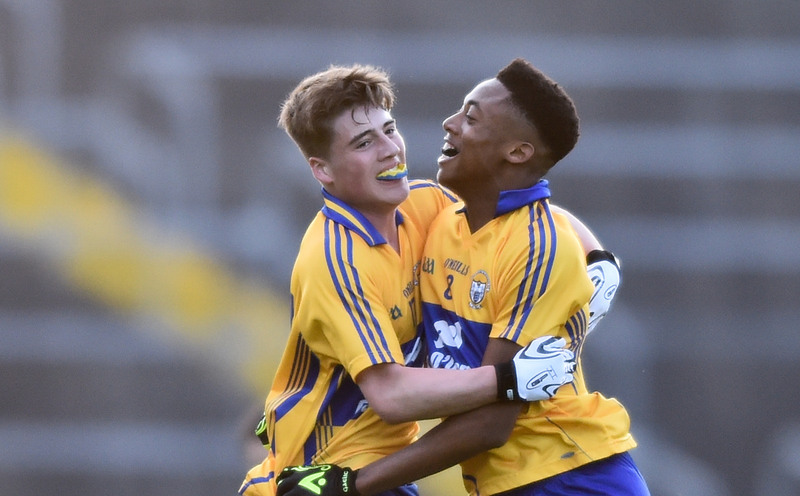 At this stage the result was clear and Clare officials were making plans for their meeting with Tipperary. Full forward Aaron Shanagher contributed 3-6 to Clare’s tally and he also had an early second half penalty goal disallowed. Colin Corbett with 1-5 and Ian Galvin with 0-6 also did well in the attack on an evening when goalkeeper Jason Loughnane wasn’t called on to make any saves. 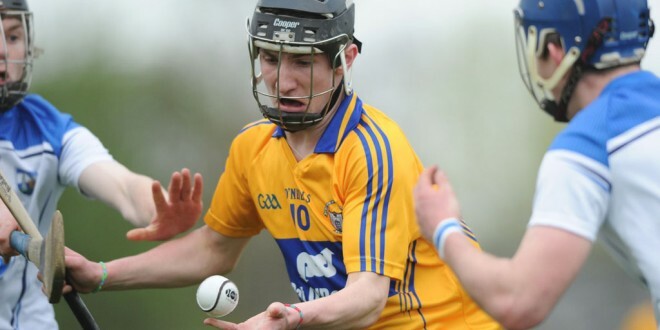 Clare: Jason Loughnane (Sixmilebridge); Rory Hayes (Wolfe Tones), Seamus Downey (Clonlara), Declan Power (Smith O’Briens); David Fitzgerald (Inagh-Kilnamona), Darragh Walsh (Eire Og ) Captain, Jason McCarthy (Inagh-Kilnamona); Michael O’Malley (Kilmaley) 0-3 Padraic McNamara (Kilmaley) 0-1; Darren Chaplin (Broadford), Michael O’Shea (Smith O’Briens) 1-2, Ian Galvin (Clonlara) 0-6; Colin Corbett (Tulla) 1-5 Aaron Shanagher )Wolfe Tones) 3-6 Brian Guilfoyle (Doora-Barefield 0-1. Subs: Liam O’Donovan (Ruan) 0-1 for Chaplin; Con Smith(Feakle) for McNamara; Colm Fitzgerald (Doora-Barefield) for O’Shea; Jack Cunningham (Wolfe Tones) for O’Malley; Stephen Conway (Feakle) 1-0 for Guilfoyle. 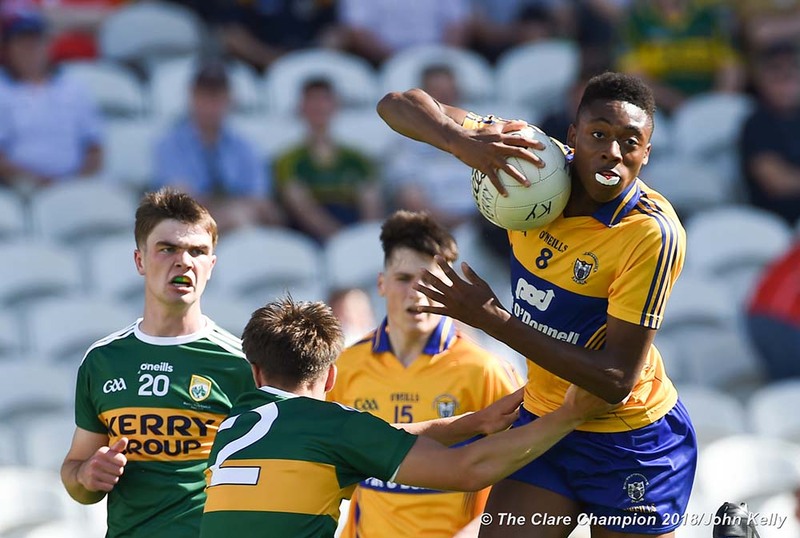 Kerry: S Murphy; J Barrett, D Shanahan, A. O’Mahoney; S O’Sullivan, M Leane, R.Collins (0-1); B Barrett (0-8), M Lynch; F Mackessy (0-1) A Murphy, J Brick (0-1); J Diggins, J Goulding, J Buckley. Subs: J Conway for Mackessy; D O’Connell for Buckley; J Diggins for Lynch; W O’Connor for O’Sullivan; T McElligott for A Murphy.